"Simple enough just build a street legal car. Showroom Stock, Hot Rod, Custom, Rat Rod, you pick it just has to be street legal." 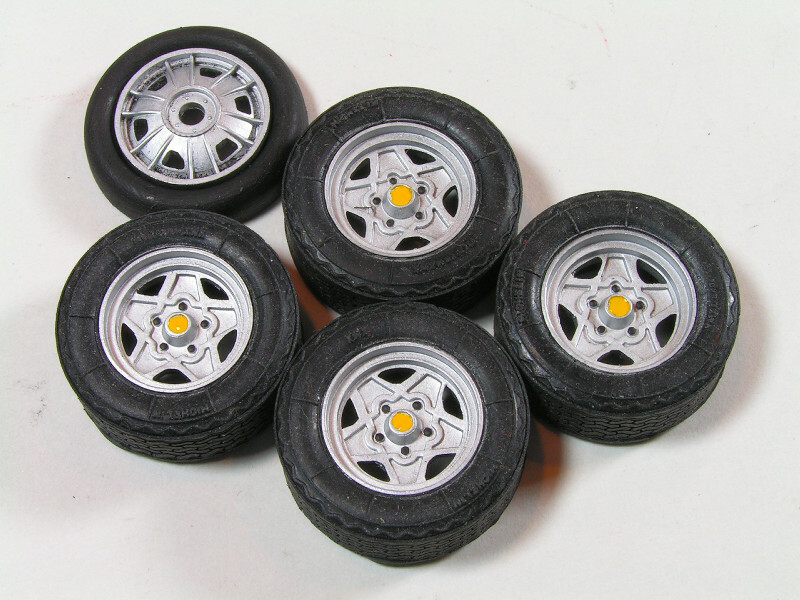 In most cases, "Street legal" means headlights,taillights,turn signals,wipers, treaded tires,etc. Any car manufactured between 1950 and 1979. Start your builds here on January 1st , again, no end date. Just get the build started before the end of February , and have fun ! Oh yea! Count me in. I must add I'm racking my brain trying to figure out what I want to build. I've got tons of Camaro's Mustang's, and muscle cars of all makes as well as a fair selection of 50's to 60's Chevy's, Ford's and Chrysler kits. Almost forgot about several Corvette's. Decided on a kit. This is one of my Christmas gifts I bought myself. It will be mostly out of box. 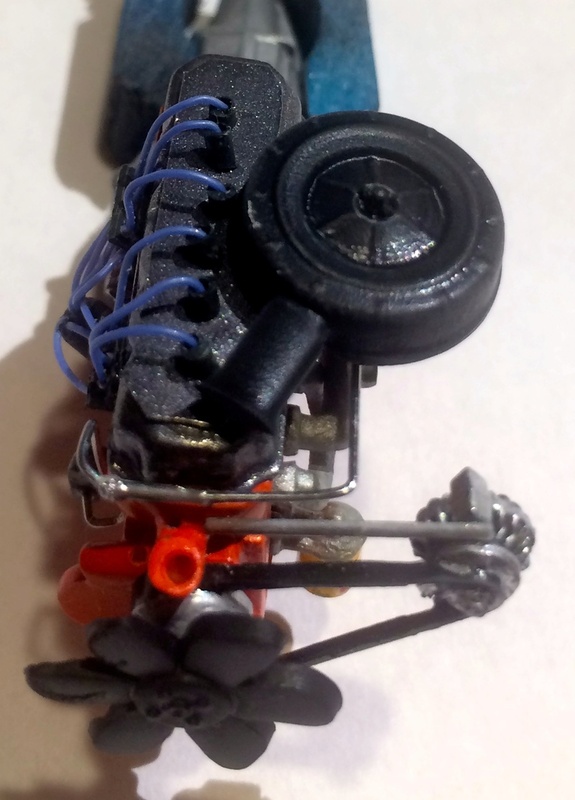 It will be wired, and will some different tires & wheels. Dan; That kit looks to have great potential. As for me, it's a Japanese classic, which no doubt borrows design elements from companies based in 'Ol Blighty. 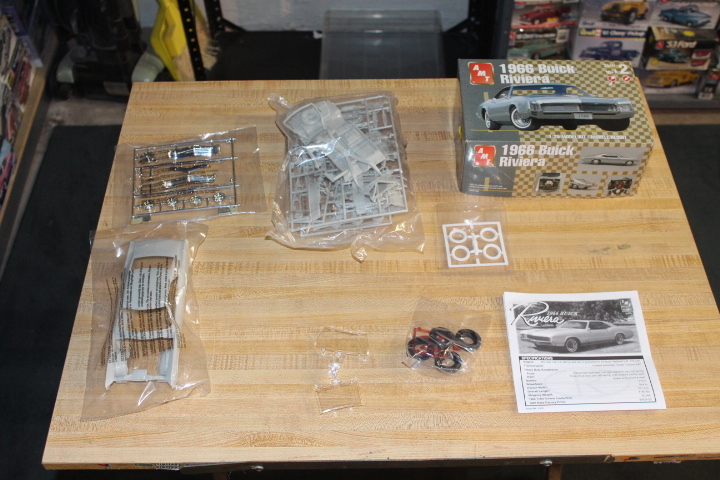 This is a very detailed kit with opening bonnet boot, and doors, movable suspension and steering. The first order of business will be to research what the factory colors were. 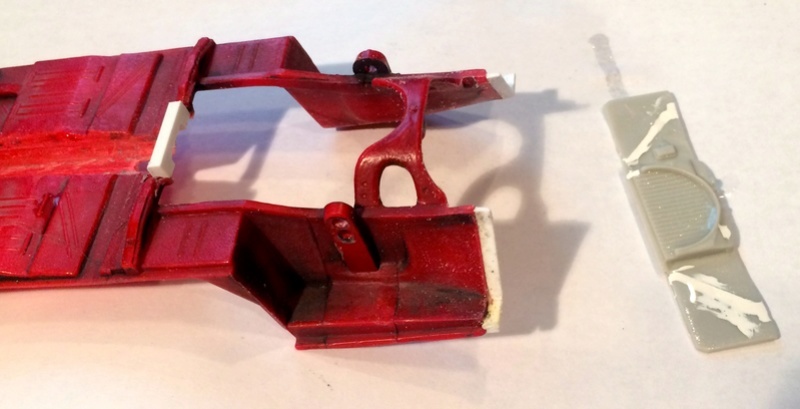 Over the last few years I collected up enough parts for an MPC Dodge Dart Sport. 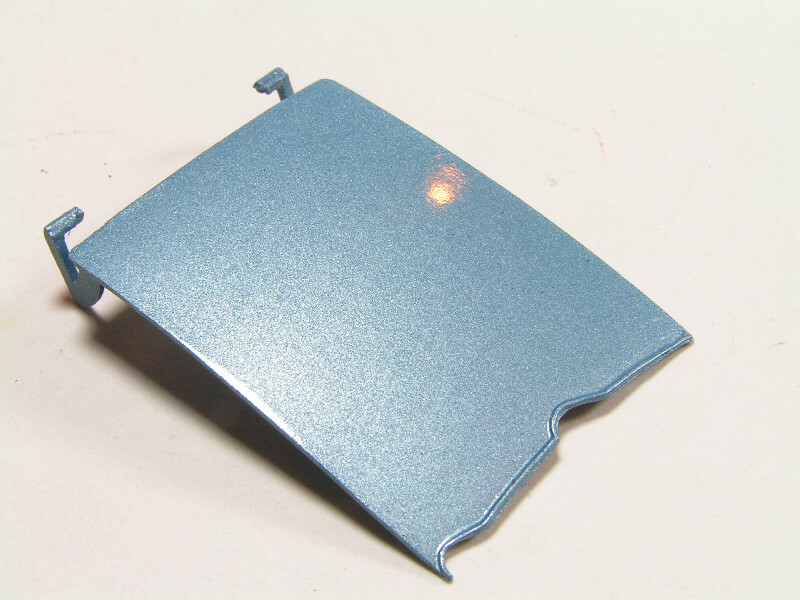 Most of the parts appear to come from this reissue of the old MPC annual kit (photo down loaded from the internet). 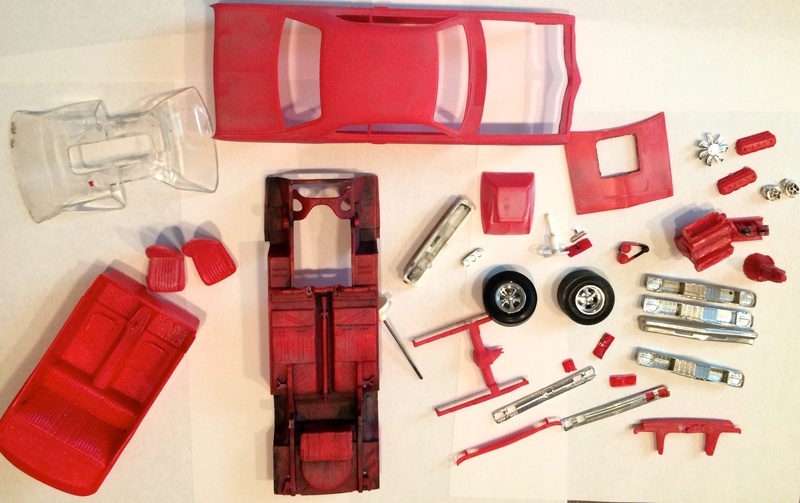 Before putting it up is the stash a while back I had stripped the paint from the body and chassis. Time to get this pile back up on wheels. Great subject to start off with. 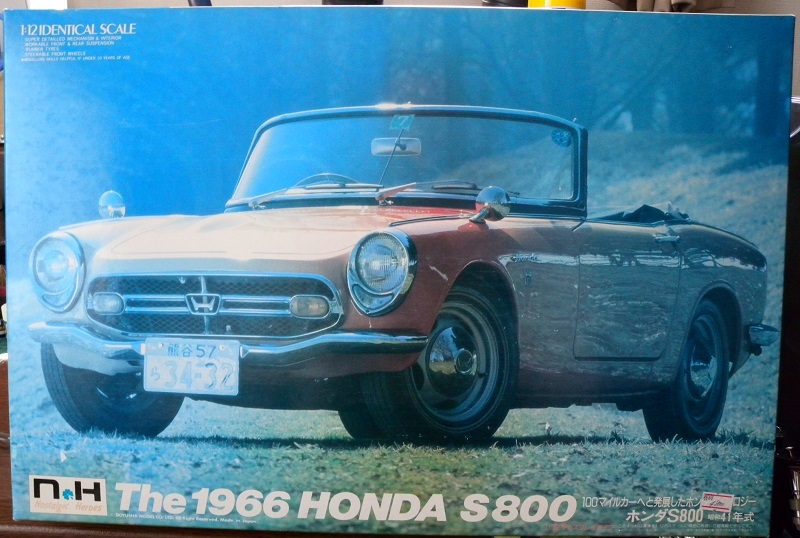 Inside the box of the Honda S800. The initial launch of the S800 in 1965 featured a chain drive. 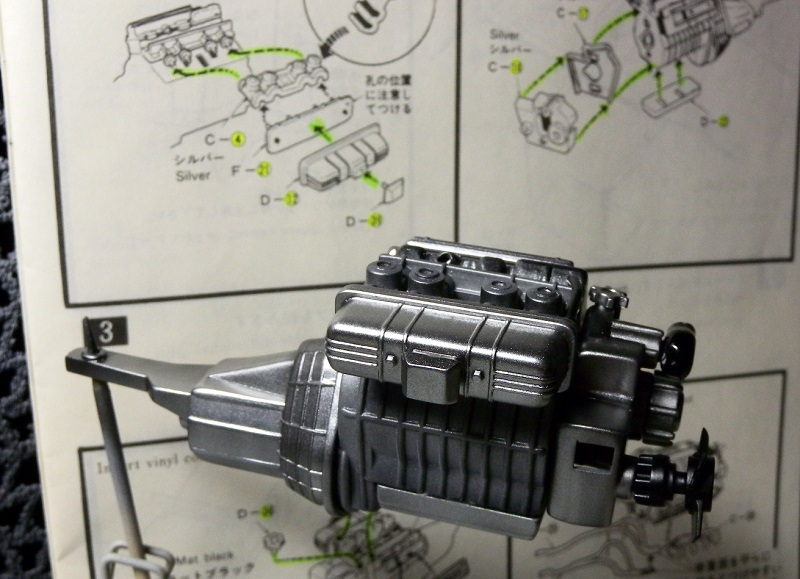 This proved to be problematic, so the following year, a conventional drive train was used. 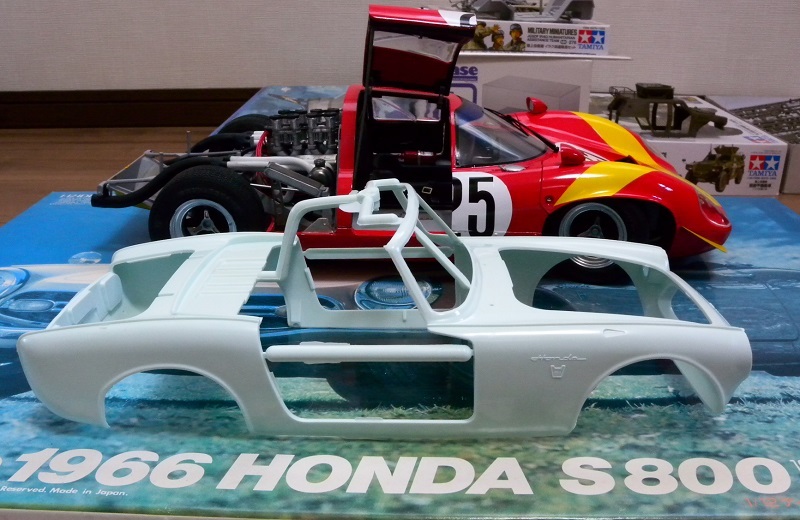 Compared to my Tamiya Lola, also in 1:12 scale. I'm in on this one. 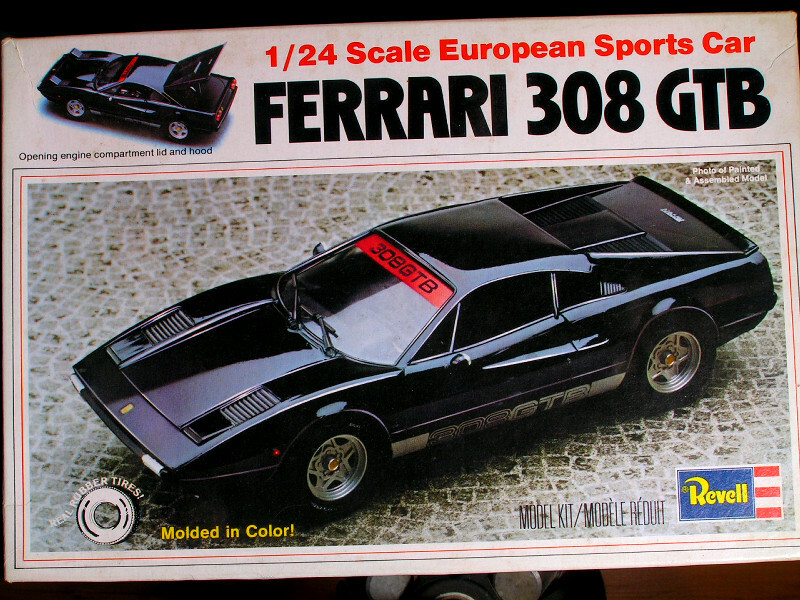 It's a Ferrari 308GTB by Revell from 1979. The 308GTB was built from 1975 to 1980, with GTS and GTBi models until 1985. 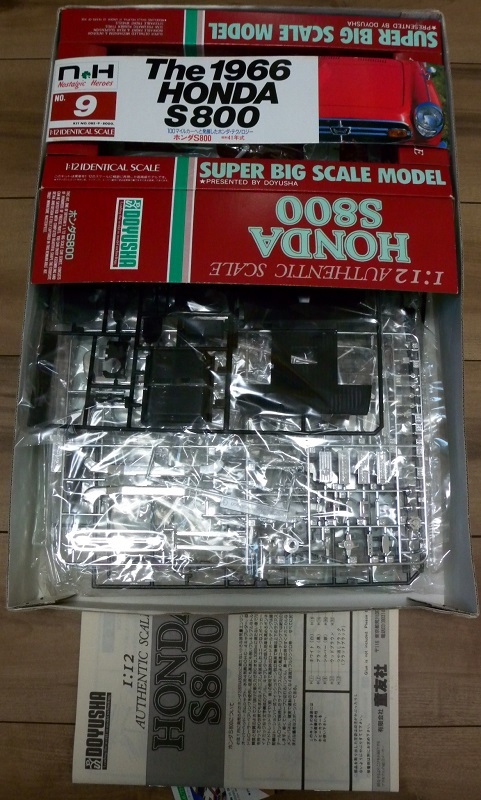 It has an engine, but doesn't have the detailing of a Tamiya or Fujimi. So, at least it won't be hitting the WIP box that I again resolved to work on in the new year. That's a working pop-up headlight bar at the bottom which is broken. Quite a bit of flash and seam lines, but hopefully it will go quickly. Luv that Ferrari, one in a series of pretty good kits back in the day. 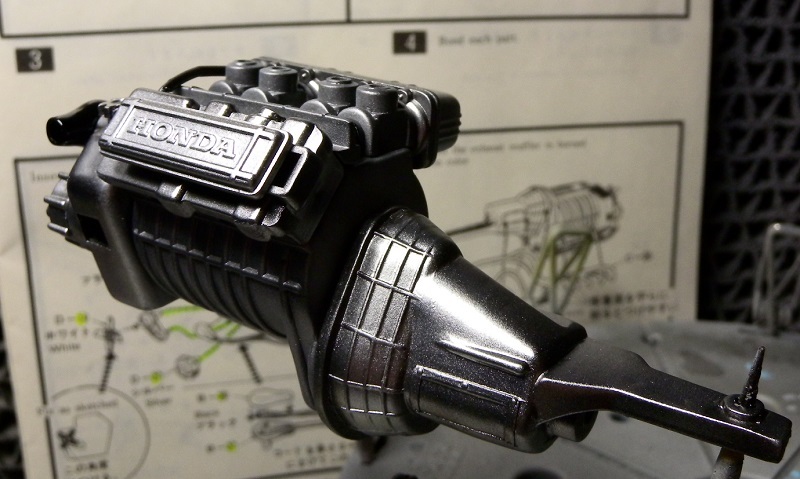 The little Honda is really cute as well and will build up into a beauty. That era was just as the Japanese were working towards exporting real sports cars. It's a shame the Toyota 2000 (?) was made in low numbers as the Datsun (Nissan) 240 Z would come along and "corner" the (affordable, dependable) sports car market. 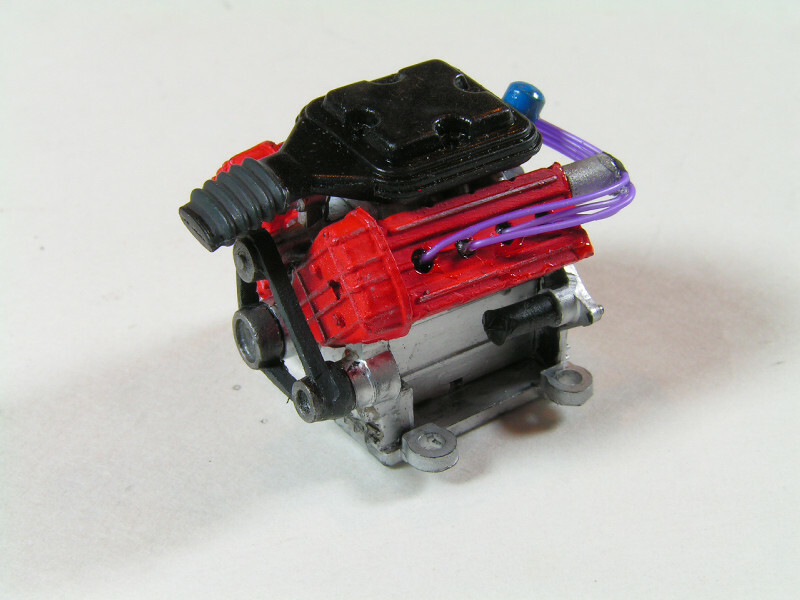 The basic engine. Plenty of flash and marginal fits. So on to clean up and getting the parts cemented together. 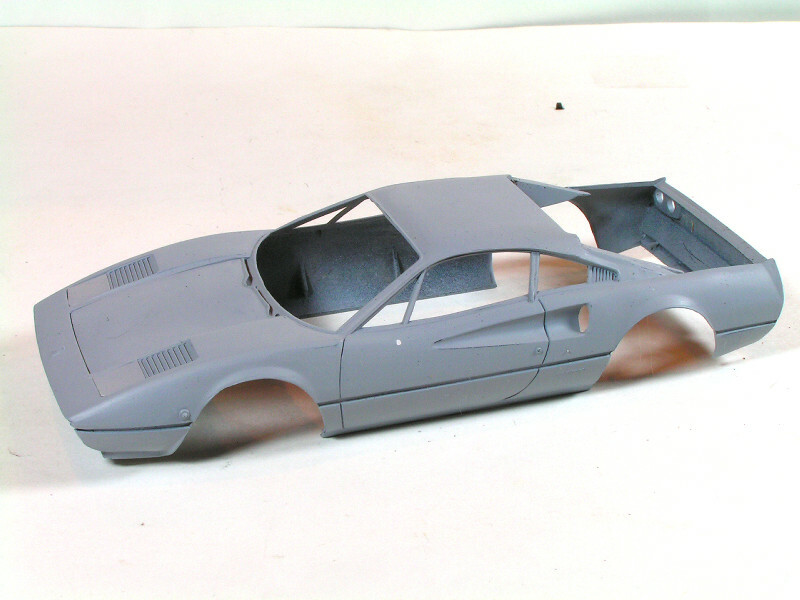 I will be stripping the kit chrome and using Alclad in its' place. And either Alclad or Gunze metallic paints for the rest of the engine. I'm considering Gloss Aluminum for the engine bay itself. Cole, Mike and Dan, I am glad to join with you on our community build, have always admired your artistry and craftsmanship and look forward to watching your Honda, Ferrari and Buick come to life. 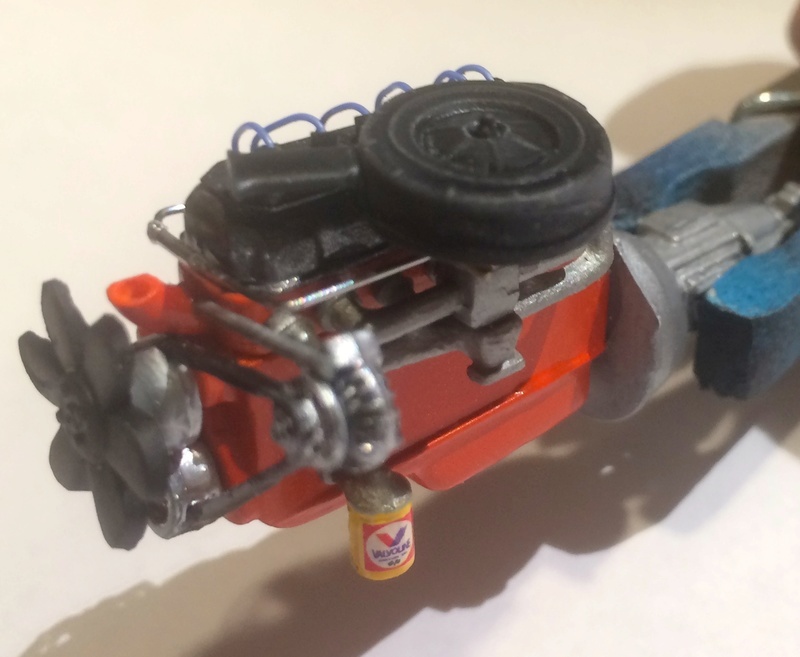 I didn't want to go with the race inspired engine in the stash so with an affinity for straight sixes, I decided to build my own version of a six banger very loosely based on the Chrysler Australian Hemi 6. 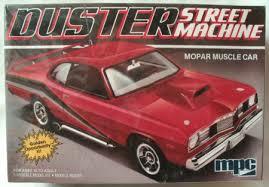 I also decided to modify the Dart's hood using the hood found on the AMT/MPC Daisy Duke Road Runner. I like the engine idea Spanky....dare to be different. Chris: Thanks and glad to have you on board. 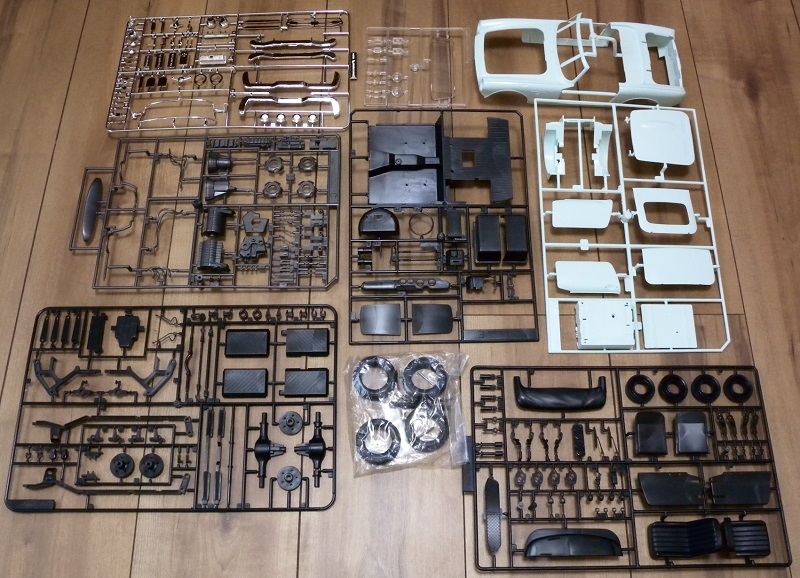 I will have to scratch build some parts for the Honda's engine bay. So I will be watching and learning from you. Cole: Nice looking engine there. Chris: Very interesting mod - never saw one before. There were some small depressions here and there on the body, but they filled nicely. And hood fits well. The engine cover was another story. All the ribs on the underside became depressions on the top, perhaps due to shrinkage in molding. The underside has injection marks. The engine is going together well, but most of it will not be visible. 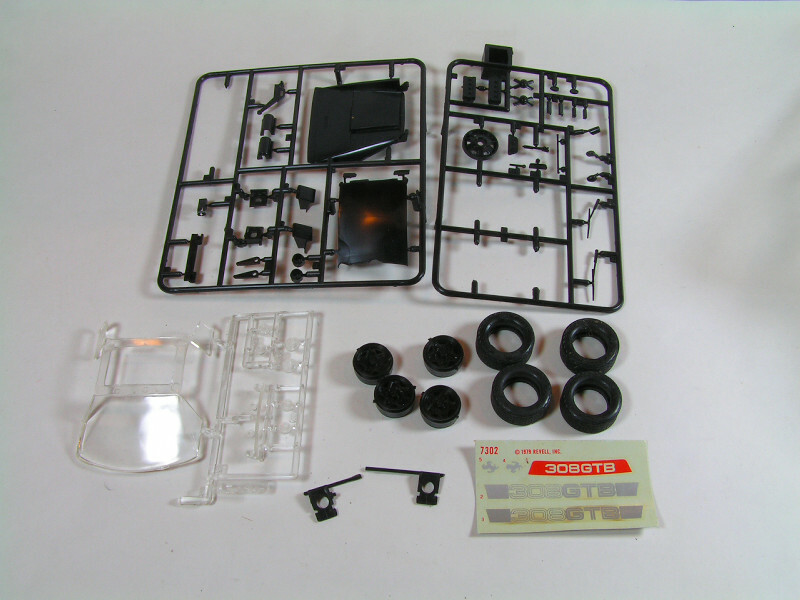 A shock that one of the more visible features - the distributors are not included in the kit. Some scratchbuilding is needed here. What a great cross section of cars. LOVE that power bulge on the Dart hood, I will have to "borrow" that at some time. 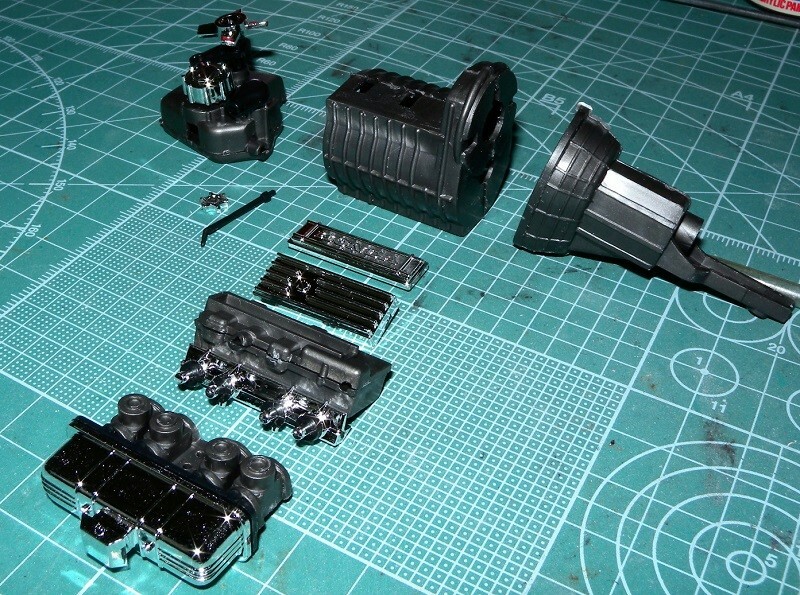 Engine block is taking shape. Two parts box oil pans were used and a timing chain cover made with some round spruce (tan) and round stock. After adding the timing chain cover I noticed the block's height was not tall enough (no room for a water pump) so I added a bit more plastic. I found a Boss 429 Mustang I forgot I had.. I might dig it out, I think it's complete and not missing any bits apart from decals. A little more progress here. Much of the engine together. Wheels painted, but they provided no emblems for the centers. Maybe I'll just squiggle some black there if I can't find something. 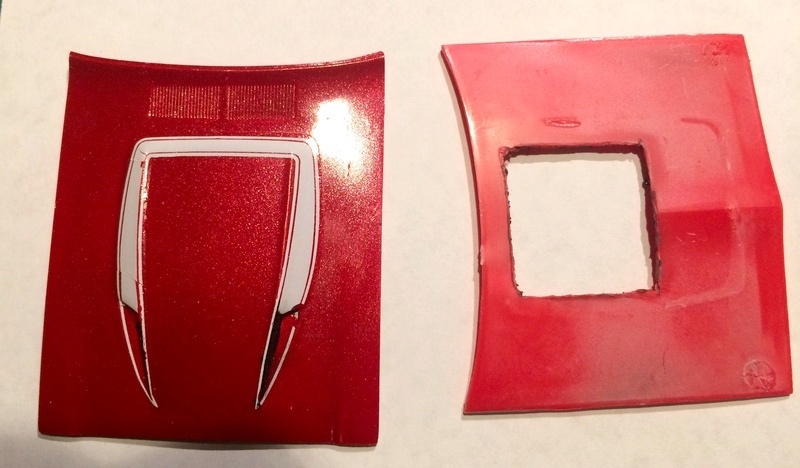 Got paint and clear on the hood as a test. I wasn't sure if the PlastiKote paint would react with the ModelMaster clear coat. It worked out OK, so I can clear the rest of the body. Saw the color online and liked it - besides, I don't have any blue Ferraris yet. 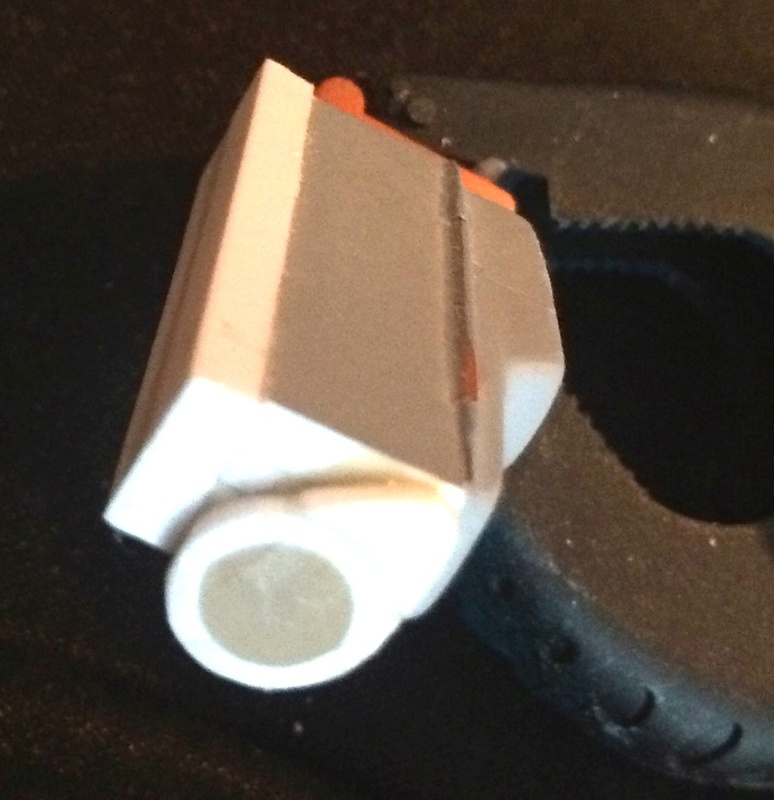 After getting the basic dimension of the engine dialed in I found it would be too long for the stock engine bay so I repaired the transmission mount extended it out about 3 MM with styrene stock. 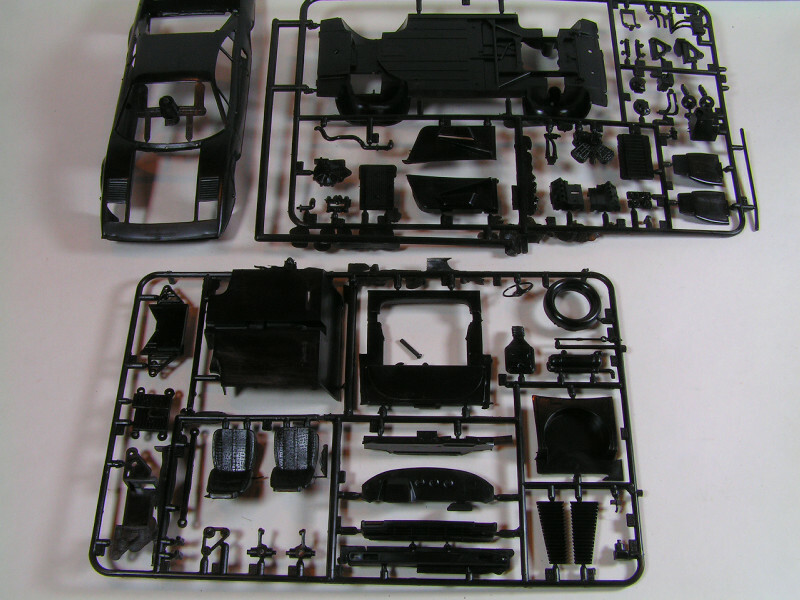 I also needed to source a radiator from the parts box and found one from an AMT A-Body (shown with mounting points and radiator hose holes filled with Tamiya putty --- the holes need to be on the opposite sides to accommodate my six). OOOO!! Very cool work. I luv it when modification takes place! On the Ferrari, the engine looks the same as the Stratos V-6 stretched into an 8. Shouldn't be surprising, but it did me. 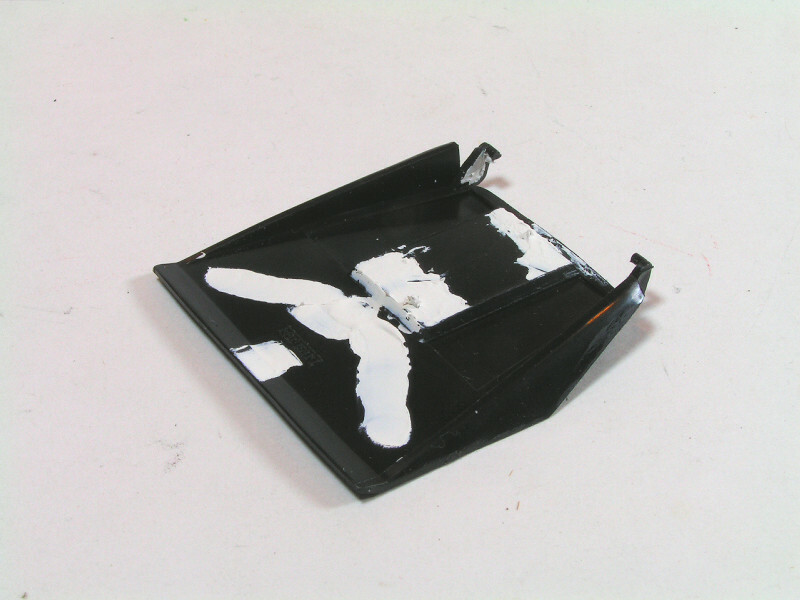 On the "Plastikote" paint, it always saves headaches to do a test first on cheapo plastic spoons, for spray pattern coverage, humidity in the room and whether paints may react together. The Revell Ferrari tires look pretty good too! 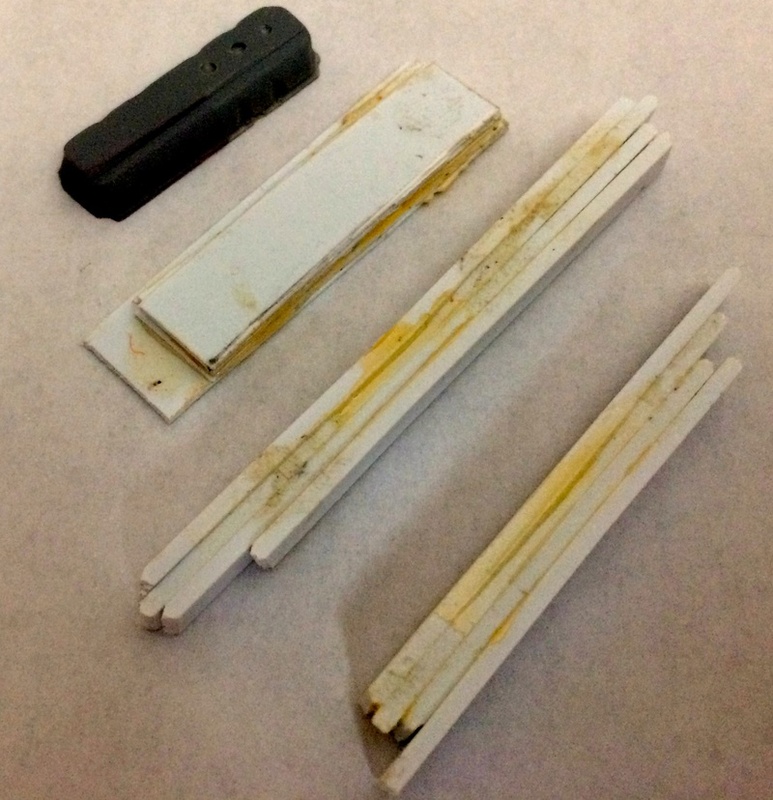 Transmission: Parts Box, cut from a block, and opening filled with milliput. 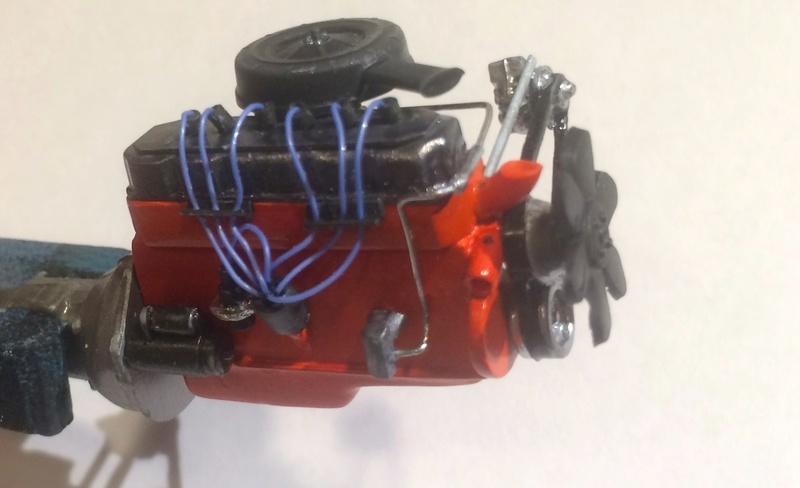 Nice work on the engine Chris. The basic engine is now together. I thought the different metallic finishes would provide more contrast. 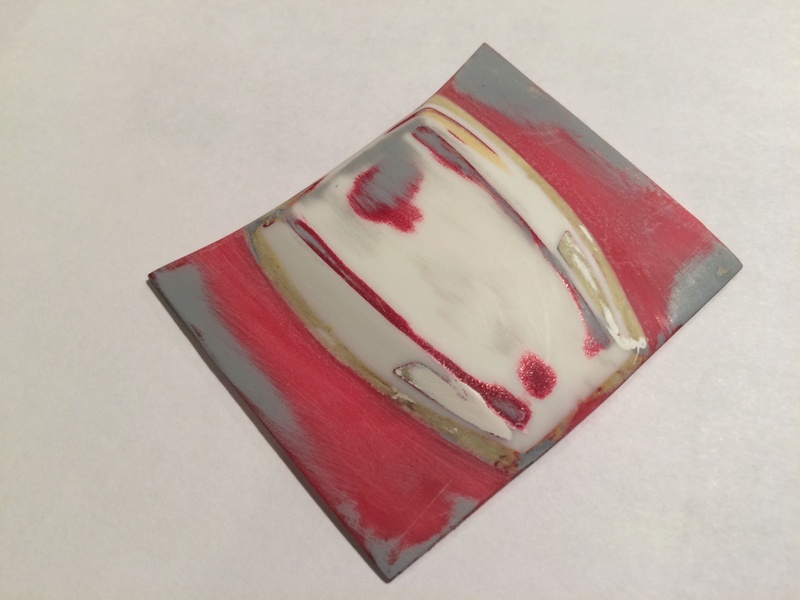 I used chrome, aluminum, polished aluminum. I will have to think about highlighting the surface detail. 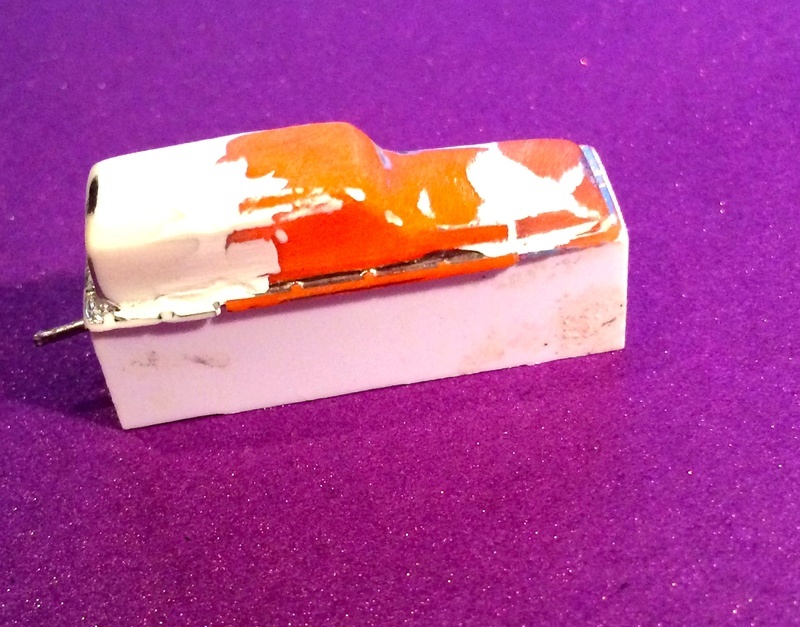 The Alclad Gloss finish doesn't react well to thinned acrylics. 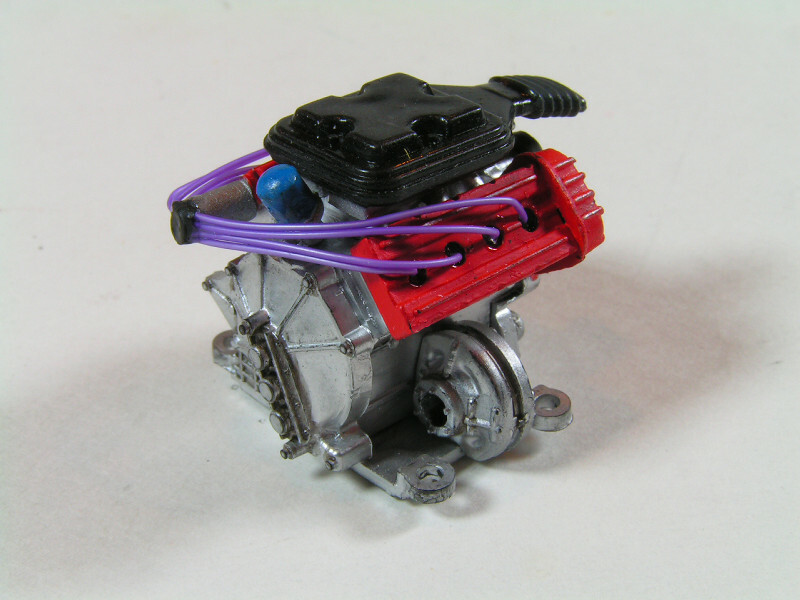 I will add the plug wires and properly align the alternator and engine fan. Then it will be complete for the time being. Starting the next sub-assembly; the frame and rear end. Lots of very noticeable seams, especially on the frame rails. 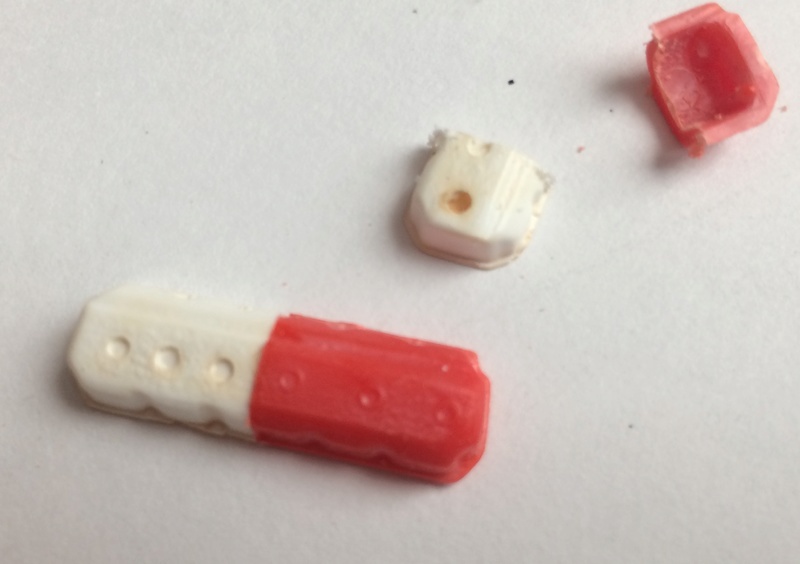 The mold halves were somewhat misaligned, methinks. Planning on rebuilding this FUBAR'd gluebomb roadster with a chopped roof ! I sure like that modified inline engine ! !